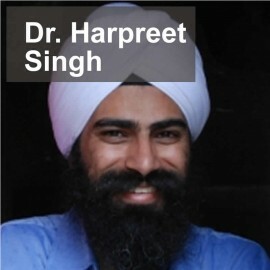 Harpreet Singh is Co-founder and Co-CEO of ExpertFi, as well as a Fellow at Harvard Innovation Lab. He is responsible for Experfy’s strategy and operations. He is an entrepreneur with experience leading cross-functional teams in global execution of product development, business strategy, operations, and technology functions. With exceptional emphasis on structured governance, he managed the program management initiatives for sixty technology startups from Citigroup’s e-Citi Venture Portfolio Office. In a later role as Director of Technology, also at Citigroup, he architected the infrastructure of global multi-tiered, web-based electronic exchanges. Harpreet subsequently established the Project Management Office (PMO) for FX Alliance, a global foreign exchange platform, where he was responsible for enabling project and risk management functions for New York, London and Tokyo locations. Harpreet earned Master’s and PhD degrees from Harvard University, where he currently serves as a faculty member. In 2001, Harpreet co-founded the Sikh Coalition—a civil rights group—in the wake of hate crimes against Sikh-Americans after the September 11 attacks. In 2003, along with Desmond Tutu, Harpreet was honored with the James Parks Morton Interfaith Tribute by the Interfaith Center of New York for his work to help heal local communities on the grassroots level.